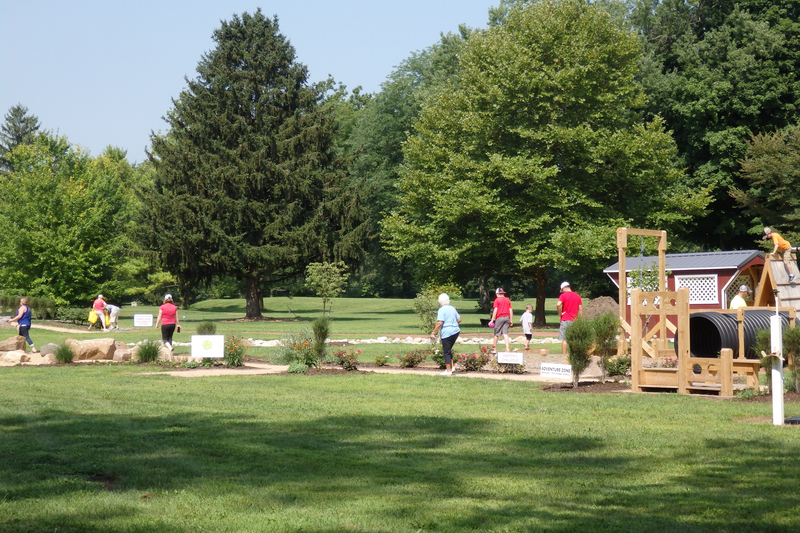 in conjunction with the Ohio State University Extension Master Gardener Volunteers. 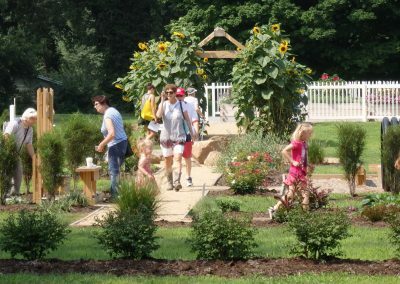 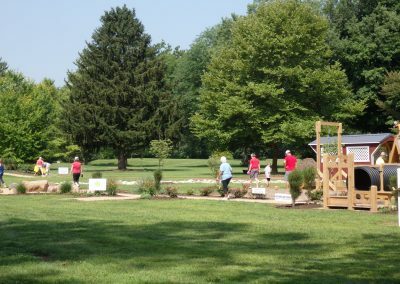 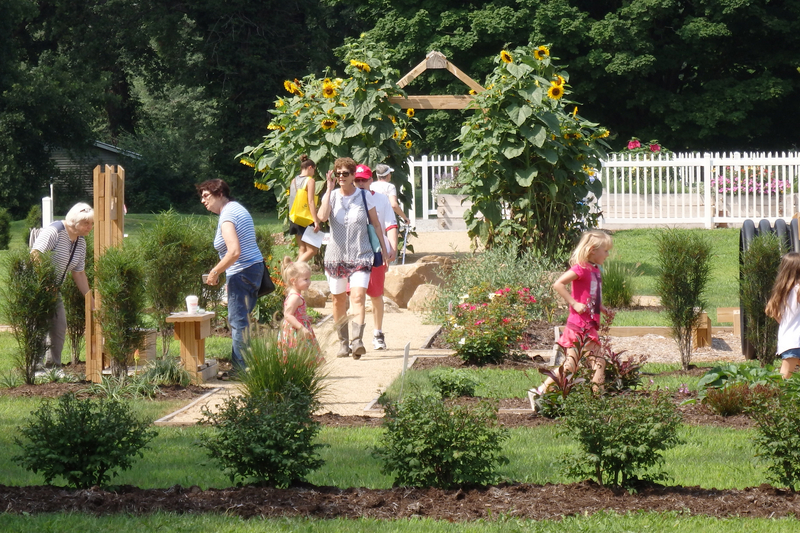 People exploring the new Kiwanis Children’s Garden during the 2018 Jubilee. 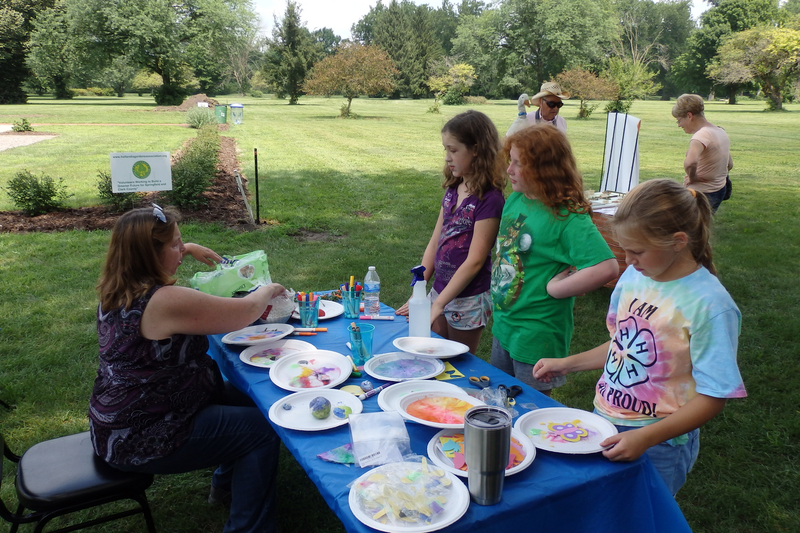 Holly LeFevre teaching crafts during the 2018 Jubilee. 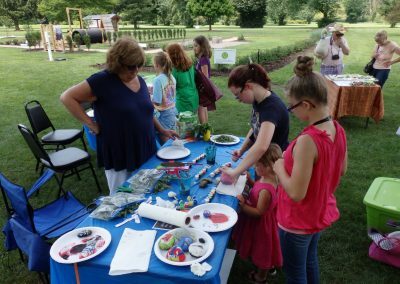 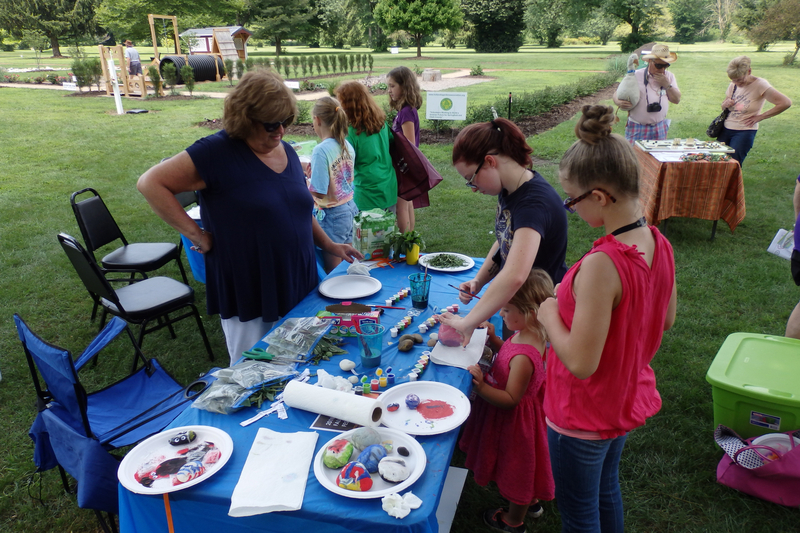 Janet Oberlin teaching crafts during the 2018 Jubilee. 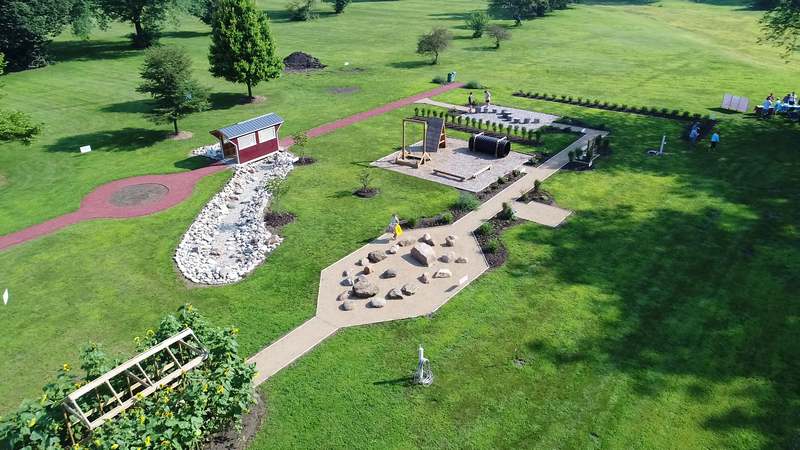 View of flatrock junction on left, covered bridge and Kenton’s challenge on right. 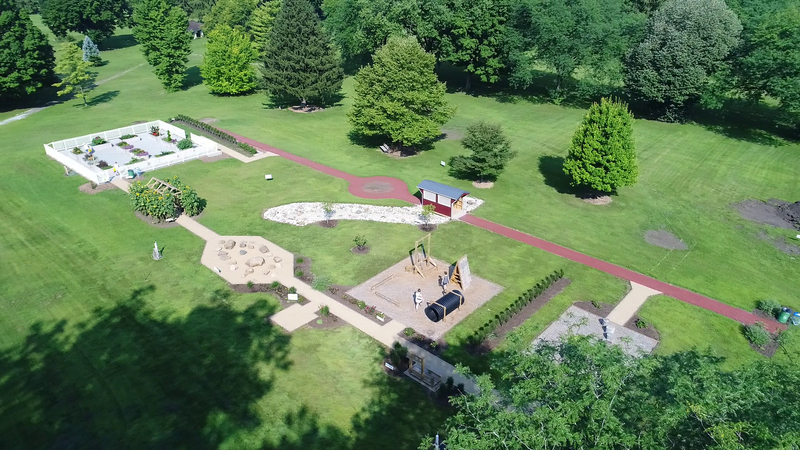 Aerial view of sunflower alley, covered bridge, flatrock junction and Kenton’s challenge. 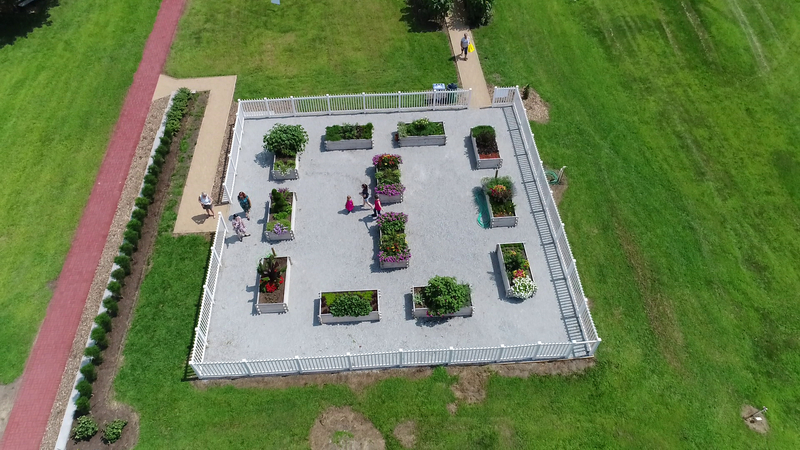 Aerial view from the treetops of the Children’s Garden. 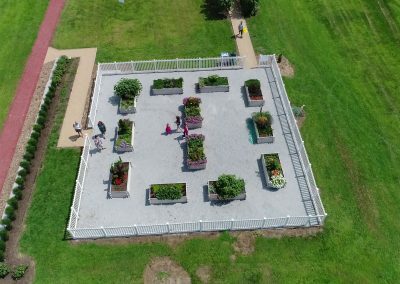 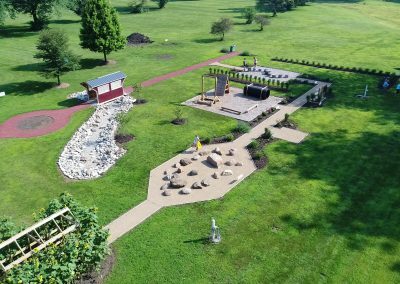 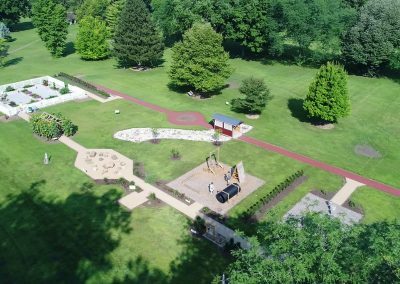 Aerial view of the Sensory Garden.